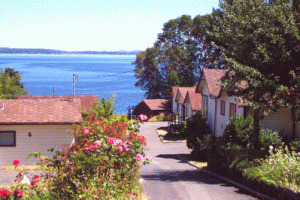 Rosebank Cottages, a well established Oceanfront Tourism Accommodation in one of Canada's most prestigious locations on Vancouver Island. Nestled in the scenic Mill Bay, only 30 minutes north of Victoria, Rosebank Cottages offer a postcard setting with picturesque privacy and superb surroundings. Beautifully landscaped grounds with a quiet, country feeling, magnificent sunrises and lovely ocean views from all cottages. Come enjoy a peaceful and relaxing holiday in your private vacation cottage on the beach. Set amid a residential district on a main secondary road. Only 5 minutes' drive to the Brentwood Ferry and 18 Hole golf course at Arbutus Ridge is nearby. A minutes' walk to Mill Bay Shopping centre with wide variety of quality shops, banks, grocery store, and professional/health services. Neighbouring commercial marina accessible by road or by beach at low tide. Brentwood College, a leading Canadian independent school closeby, with tennis and other facilities. Victoria and Nanaimo airports 45 minute drive. Close to Cowichan Valley Winery country. 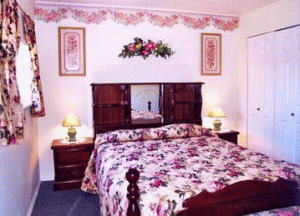 Please visit Rosebank Oceanfront Cottages Website.